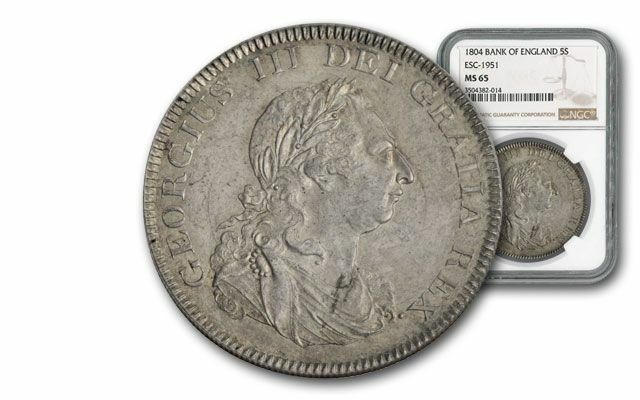 One of the most celebrated coins in numismatics in the U.S. Mint's 1804 Silver Dollar. Only a few of these specially minted coins exist, and when one appears at auction, the hammer price easily exceeds several million dollars. 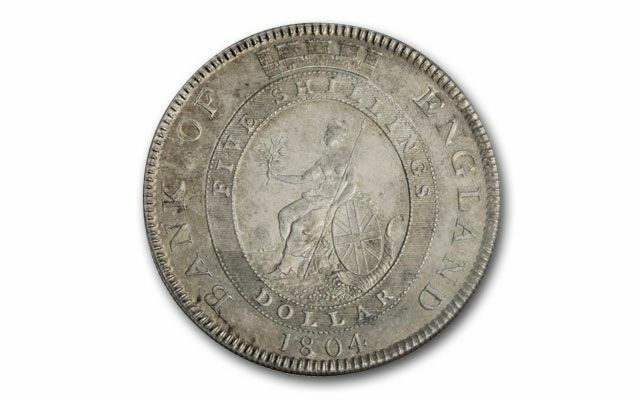 But, few collectors realize there's another Silver Dollar size coin struck in 1804 which in itself is quite scarce and sought after by collectors around the world. This big silver coin was struck by the Bank of England. 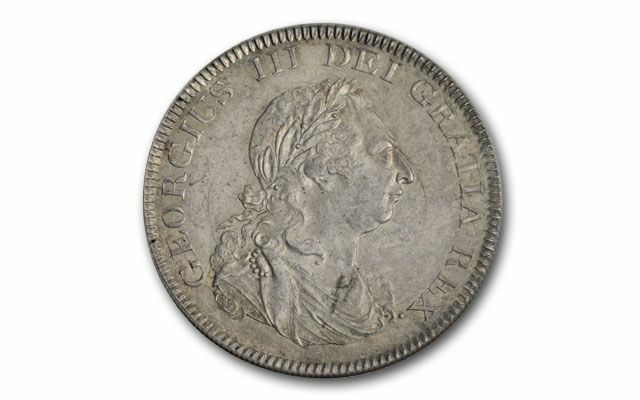 It shows a classic early 19th century design featuring a portrait of Britain's George III, the king who lost the colonies in our American Revolution. The reverse displays Britannia, seated on a rock at the shore, protecting Great Britain. Each is struck in 90% silver, just like its American cousin and contains 26.41 grams of the precious metal. Because of the history and mystique of these coins, they're seldom available. And, when they do appear, they are snapped up by eager collectors. The date 1804 itself is also of profound significance to collectors: Thomas Jefferson became president, Napoleon Bonaparte was proclaimed Emperor and Lewis and Clark started their trek of discovery in the newly acquired Louisiana Purchase. 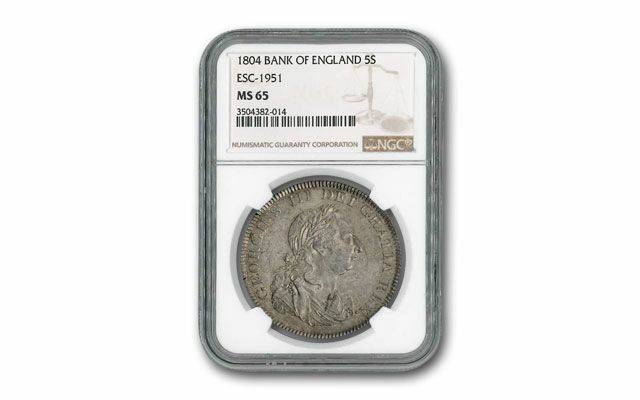 We've located a superb example of this scarce coin, graded by Numismatic Guaranty Corporation (NGC). It grades Mint State-65 (MS65) Hurry to secure this coin, it will be gone fast.